Members earn 103 Points on this purchase! 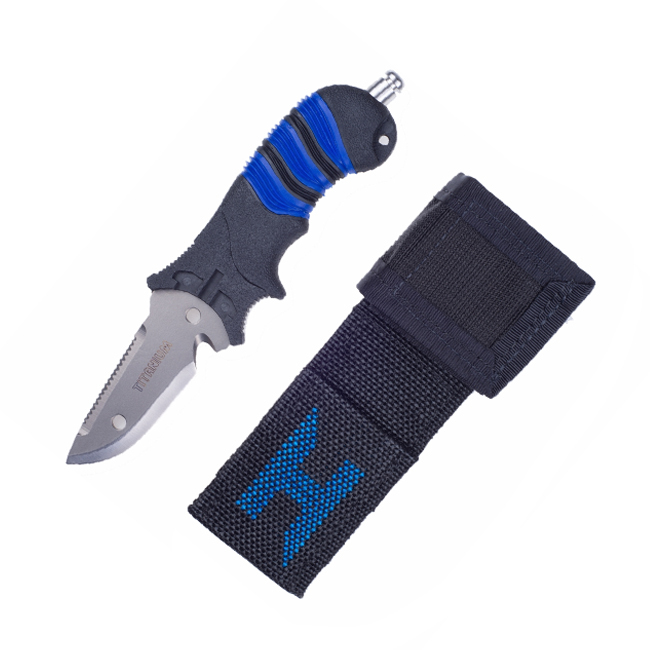 The titanium Halcyon “H” knife consistently proves to be one of our most popular accessories. The sturdy nylon pocket mounts on the waistband of the Secure Harness and is always within easy reach. The Halcyon knife sheath wraps around the knife’s handle with overlaying Velcro straps to secure the blade during a dive.